How much do you want for just the headlights. 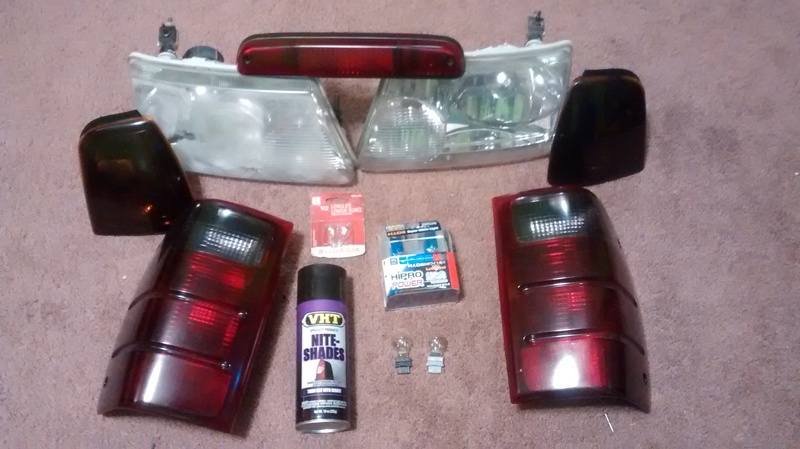 I need a pair to swap for 10 minutes when I do a yearly inspection due to some stupid law stating that retrofits won't work here... IE: The bulb is stamped on the headlight but the bulb is different in the housing = fail. That's a little high honestly. I will probably pick up a set on eBay. New set is $39 w/ free shipping and includes bulbs. Free is always good..lol I could probably polish the one lens or wet sand it to make it slightly visible as I think they would fail it to due inspection on not being clear enough.